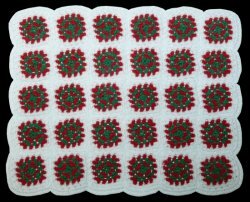 White with Christmas green and red granny squares. 6" x 7". Crochet.